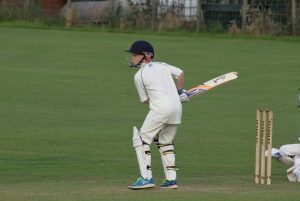 Youngsters from Temple Sowerby are being encouraged to don their cricket whites and sign up to play for their local cricket team. Temple Sowerby Cricket Club received £1,500 from the Ullswater Trust Grassroots Grants to help continue to develop their junior teams by upgrading and improving their coaching equipment. The Cricket club has been running since 1920 and provides 10 coaching sessions during the cricket season for 5 to 10 year olds and 11 to 16 year olds. They offer safe, engaging and individualised coaching and regular cricket, to inspire local people to play at their club. The cost of cricket equipment often means people in the community are not able to afford to buy it themselves; especially the parents of the junior members. James Farmer, Grant Team Member of the club, said: “The grant has meant we have been able to provide the equipment the club needs, such as Astroturf matting, pads, gloves, and helmets. “We have seen a significant increase in the number of junior members now we are equipped to coach hard ball cricket. The parent of a junior member, who has joined us this year from a local cricket team, commented on how fantastic our coaching was, as his son was being challenged to play hard ball cricket. We have only been able to offer him this as we have the equipment and facilities available due to receiving the grant. The club now has nearly 60 junior members and have been able to start a second senior team due to the increase in club membership.